Chandigarh 31st January:---- Dr Shiv Bagga, Assistant Professor Department of Cardiology at the Advance Cardiac Center, PGIMER won the first prize in the case presentation competition held at the prestigious Manipal University as part of the South Zone Interventional Council Conference (SIC-CON) 2014. The case involved a young patient with complex blockade involving the left main coronary artery conventionally treated through bypass surgery. However considering the patient’s young age he was advised a percutaneous angioplasty procedure. The case involved use of an unconventional technique “The Reverse Crush Technique” for which not many cardiologists have the expertise to perform. Dr Bagga was appreciated for successfully carrying out this technique in a complex bifurcation case and highlighting it as an alternative to bypass surgery in a subgroup of patients with left main disease. Chandigarh 31st January:---- The NSS Unit of the MCM DAV College for Women, Chandigarh, today organized a closing ceremony of the 15-days self defense training drive. 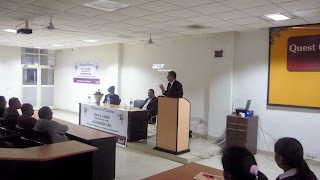 The chief guest of the occasion was R.S. Ghuman, SSP, Operations & Training and Vigilance, Chandigarh Police while Ms. Kamla Meena, DSP, Women & Child Support Unit and other dignitaries from Chandigarh Police were also present. The students demonstrated to the guests the further some self defense skills they have imbibed during the training drive. The event was infused with galvanizing speeches & motivating conversations. Certificates were awarded to the student trainees while the trainers were rewarded with trophies. The chief guest R.S. Ghuman, SSP, Operations & Training and Vigilance, Chandigarh Police was all praises for the zest & zeal showcased by the students. He impressed upon the girls the need to realize and bring to fore the power and strength in them. He quoted, that he is not an Atheist is not who doesn’t realize the power of God, Atheist is he who fails to understand the power vested in him by God. The principal of the college, Dr. Puneet Bedi, lauded the exceptional endeavor which she said would go a long way in making the girls feel safe, secure and able under all circumstances. Chandigarh 31st January:---- Max Hospital Mohali organized a health workshop on ‘Memory problems: when to suspect Dementia & Alzheimer ’. over 100 senior citizens attended the workshop. 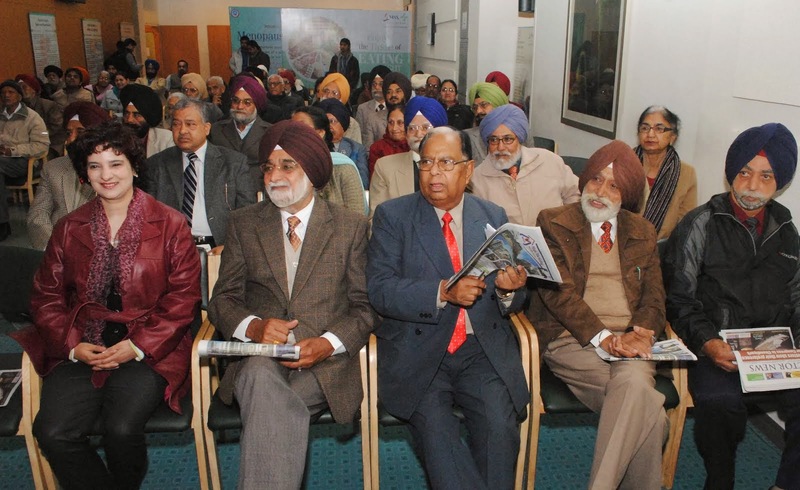 Speaking during occasion, Dr Preeti Sahota, Consultant, Neurology, MSSH, Mohali said that memory loss associated with aging was often confused with Dementia. In the normal ageing process, person would typically complain of memory loss or forgetfulness, slower thinking and problem-solving, decreased attention or concentration and slower recall, occasionally searches for words besides pausing to remember directions. Dementia was a collection of symptoms including memory loss, personality change, and impaired intellectual functions resulting from disease or trauma to the brain. These changes were not part of normal aging. With dementia, there would likely be noticeable decline in communication, learning, remembering, and problem solving. Elucidating on the difference between Dementia & Alzheimer, Dr Sahota clarified that Alzheimer was the most common form of dementia in which the death of brain cells caused memory loss, confusion, impaired judgment, disorientation and inability to communicate. These changes would start mild and get progressively worsen with time. Since Alzheimer developed for an unknown and a variable amount of time before becoming fully apparent, it could progress undiagnosed for years. Thus it was important for family members to recognize the early symptoms. Informing on the ways to deal with this problem which impacts almost 80% of seniors, Dr Sahota said that while there was currently no cure for Alzheimer, early detection was the best way to provide better medical care and outcomes. An emotional support from family & friends along with active medical management could improve the quality of life for Alzheimer patients. The treatment focused on several different aspects including helping people maintain mental function, managing behavioral symptoms, and slowing or delaying the symptoms of the disease. Chandigarh 30th January:---- A two day training programme on Energy Efficient System and Environmental Sustainability was inaugurated in CII here today. Not just environment sustainability, using energy efficient systems in production can help companies maximise profits. Experienced Energy Auditors, Certified by Bureau of Energy Efficiency, Ministry of Power, Government of India, who conducted the training programme said that cutting down on costs is the easiest and the fastest way to multiply earnings. Also, with the on-going economic downturn, an enterprise can better position itself by reducing costs and maximizing margins. Participants from companies like Cadbury India Limited, Godrej, Hindustan Unilever Limited, Jindal Stainless Steel, John Deere, Maruti Suzuki India Limited, Max India Ltd, P & G Gillette India Limited, Punjab State Council for Science & Technology, TVS Motor company Limited, USV Limited attended the programme. Sanjay Namdeo, Senior Counselor said that CII has been handholding counselling and helping industry reduce their energyconsumption by around 10-30 per cent for more than a decade. Pioneers in GreenCo Rating system, CII is also helping businesses go-green and engage them in the country's development process. This is in addition to positive financial implications of using energy efficient systems. 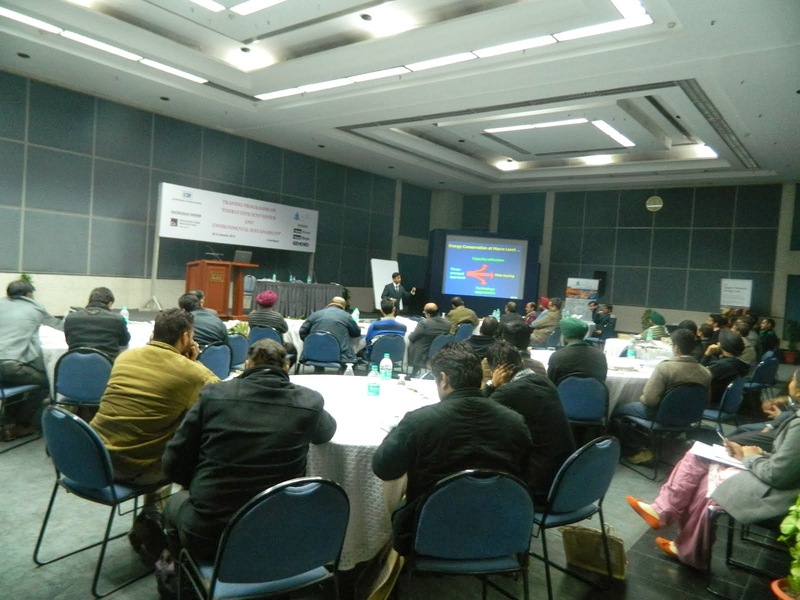 Advanced air piping systems were deliberated upon during the workshop. Best industrial practice demands that the wastage of compressed air should be minimized. The major losses in the compressed air system are due to the leaks, pressure drops in the lines and misuse of compressed air. Unique products made of non – corrodible materials and that using O – ring tightness technology that help in minimizing such losses were showcased during the event. During the day insight into the latest trends in the Energy Management were also shared by experts. The importance of the use of Energy Efficient motors in the industry was also underscored. A lot of industries at present are using old inefficient and ‘rewinded’ motors which cause more power consumption. This can be minimized by using energy efficient motors. During the presentation the latest IE standards, testing methods, construction features and case studies were discussed. Chandigarh 30th January:---- The Registering and Licensing Authority, Chandigarh has started the process for affixation of High Security Registration Plates on old vehicles already registered in UT, Chandigarh w.e.f. 18.09.2013. For the time being, the affixation of HSRP on non-transport vehicles is being started at three notified locations i.e. the offices of R&LA Sector-17; SDM(South) Sector-42 and SDM (East), Indl. Area,Phase-I, Chandigarh. The owners of the vehicle having registration number of ”CH01-AM” series shall apply for affixation of HSRP at their respective offices with the request on plain paper mentioning the detail of Chassis Number, Engine Number, Make, Model alongwith a copy of Registration Certificate of the vehicle & copy of valid insurance within one month from the date of 01.02.2014. In case, if, the owners of the vehicle of above series do not affix HSRP plates within the stipulated period on their vehicles, the Traffic Police, UT, Chandigarh will be asked to initiate the process for Challenging of their vehicle. Vice Chairman, of Quest Group of institutions H.P.S.Kanda & J.P.S.Dhaliwal emphasized the fact that Success is not a short term phenomenon. The pinnacle of goal could be reached only if we inculcate & guard our values & develop the skills we are taught .They further advised the students to invest next 2-4 years of life to make40 years of life comfortable & favorable. 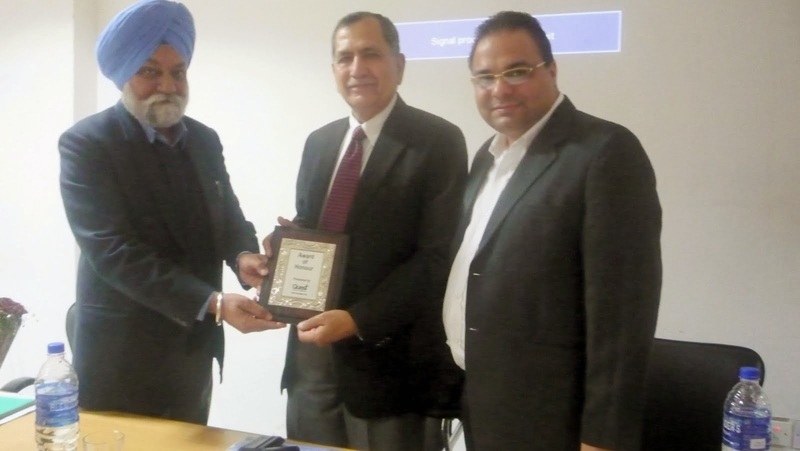 Chandigarh 30th January:---- Prof. Yogesh Chawla, Director PGI honored twelve officers/officials on their superannuation today by presenting mementoes to them. Sushil Thakur, Financial Adviser handed over beneficiary cheques comprising GPF, gratuity and group insurance. Chetan P.S.Rao, Deputy Director and the respective Heads of Departments wished them well in life by presenting bouquets to them. The 12 officers/officials who were retired from PGI after devoting 18 to 39 years of their lives to PGI. are Ram Singh, AAO, M.S. Office; Smt Usha Kapoor, ANS, Nursing Department; Smt Ravindra Tripathi, Office Supdt. E-II; Parkash Chand, Office Supdt.,MS Office; .Biswarup Karmakar (Voluntary Retirement), Tech. Assistant, Paediatrics Department;.Surinder Pal Singh Chopra, Jr. Store Officer, School of Public Health; Krishan Lal, Junior Reception Officer; Sham Lal, Tech.Gr.III, Electrical Division;.Ashok Kumar, Tech.Gr-III, Mechanical Section; Hushnaki Ram, Security Guard, Grade I; Cheddi Ram, Mali Grade II, Horticulture and Lekh Ram, Hospital Attendant. Chandigarh 30th January:---- The Bakery Competition, was organized for the third year students of Dr. Ambedkar Institute of Hotel Management, where “Hridey Bhugra” got a taste of victory. The students of the college were judged on their artistry, presentation, and on the taste of their creations, by the Pastry Chef of hotel Homtel B.S. Gussai and Krishan Gautam from hotel Aroma. The students, who were short listed for the competition, were given to prepare three types of bakery items, the first one being bread, second being a decorated cake with proper icing using skills and creativity and the third was plated dessert.Some of the exquisite bakery products prepared by the students were Red Velvet cake, Focaccia, Panna cotta, Carrot Cake, Marble Bread, Death by Chocolate, Chocolate Mousse, Kiwi Cheese Cake, Banana Bread, Masala Bread, Choco-Vanilla Cake etc. 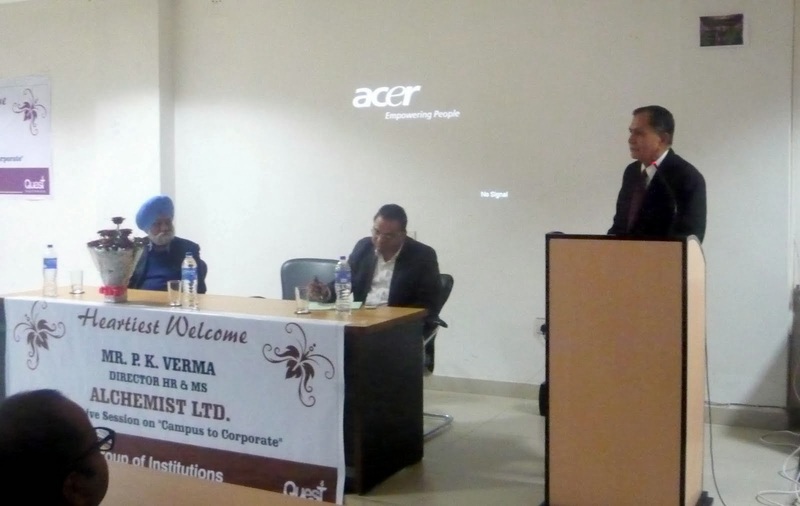 Bharti Tyagi, Principal of the Institute said that Such events help the students to showcase their talent, creativity and skills which they have acquired with their hard work and dedication during the years in the institute. I am very pleased with the performances and the results. She further said that to encourage and boost the students, two more events are being organized, where they will be given an opportunity to present their talents. Chandigarh 30th January:---- To create awareness among Sikh communities about traditional teachings on nature preservation, and to show people how they can take positive action to safeguard nature, EcoSikh, unveil plans for celebrating March 14, as ‘Sikh Environment Day’. This day is significant since it marks the coronation of the 7th Sikh Guru, Guru Har Rai, who is known for his deep sensitivity towards nature and its preservation. Prominent Sikh personalities, preachers and industrialists came together to announce major initiatives on environment and to endorse the upcoming celebrations on ‘Sikh Environment Day’. EcoSikh also launched its Sikh Environment Day TV Promo before the media at the event. Ravneet Singh, the India Project Director of EcoSikh said, that keeping in sync with changing times, we have created a small video which will be aired on TV channels in Punjab, India and even abroad giving a clarion call to Sikhs to observe ‘Sikh Vatavaran Diwas’ in the right earnest. Ravneet Singh further adds that we will be using the time of over a month to coordinate with Hundreds of Sikh Gurdwaras, schools, colleges, businesses and institutions in Punjab and across the world to take active part in this joint effort. Dr. Rajwant Singh, President of EcoSikh, who joined the press conference from Washington said, "This day reminds us of a commitment to care for nature and other inhabitants in the World, based on the teachings of Guru Har Rai ji. We are confident that once again Sikhs in Punjab and around the world will take part in greening the planet. Our audacious goal of having 2000 Sikh organizations celebrating the Sikh Environment Day is already getting support in all six continents.We want the media to help in taking the message to as many Sikhs as possible so that they feel motivated to join in this unique celebration." EcoSikh also launched its Sikh Environment Day TV Promo before the media at the event. This year support has come in from Punjab’s Industry with EcoSikh Punjab Convener, Ranjodh Singh, a leading Sikh industrialist of Punjab, gearing up industrial units to implement a green drive starting with this ‘Sikh Environment day’. According to Ranjodh Singh, that the industry and business leaders must take part in this environmental movement and play their role effectively as a Corporate Social Responsibility (CSR) activity. They could engage hundreds of employees in industry and share practical value of saving water andenergy at their factories and at homes. 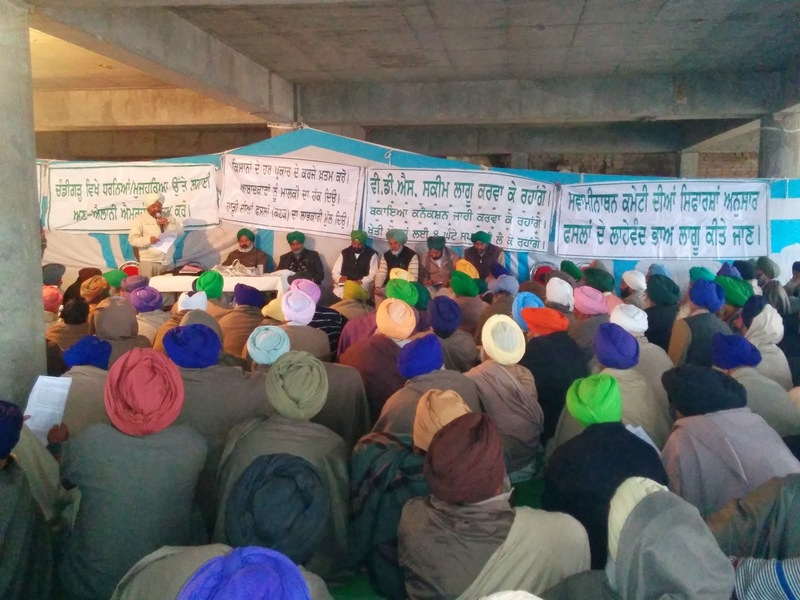 EcoSikh this time has also roped in well known Sikh religion preachers or ‘Kathawachaks’. Bhai Amrik Singh, a well-known International Sikh preacher, said, “Climate change is the most challenging issue of our times and preachers have a special role to convey the teachings of Sikhism and of Guru Har Rai ji on this issue and inspire masses to act for the betterment of the Mother Earth. Around eight hundred schools across Punjab will have ten minute presentations and environment pledge on Sikh Environment Day. Jaspreet Kaur, Project Coordinator of Guru Nanak Multiversity Educate Punjab Project said, that our organization has been operational for moral studies in over 800 schools in Punjab and we will be organizing programs in collaboration with Satnam Sarv Kalyan Trust, Chief Khalsa Diwan and EcoSikh. Our goal is to make young minds aware of how powerful they can be, and the difference they can make towards nature care.